The media has been accused by President Donald Trump of falsely reporting the crowd size for his inauguration. President Trump responded to the comparison images from President Obama’s inauguration in 2009. The images show that President Obama apparently had a larger crowd. The Washington Post, who was among various news outlets to publish the photos, stated that both photos were taken at 12:00 noon from the Washington Monument. The Local Live would like to point that the National Park Service stopped determining the crowd sizes following the Million Man March in 1995. Local Live reporter, Rebecca Berman spoke with local residents regarding their thoughts on the election and the inauguration of the forty-fifth President of the US. Several thousand men, women and children recently made history on January 21st the day of the inauguration. Westchester County Legislator Catherine Parker was among those in attendance. The monumental scaled protest brought peaceful rallies to D.C., New York and around the nation, as well as solidarity demonstrations around the world. Women’s March Movement claims that the discourse of the election campaign has insulted and threatened minorities in the country. On her facebook page, Parker posted the following statement regarding the Women’s March, “Yesterday restored my faith in America. People were kind, here to help, and showed that we will stand together for what is right. So thankful to all of you who marched all over this country. You made America great again”. Why is The Sandbox Theatre fighting to remain in its current location? When owners Dan Ferrante and Jason Summers attempted to expand their property, several old permit issues and violations were discovered as well as a zoning conflict. The owners have taken care of the permit problems and violations, but they are unable to solve the zoning issue. The problem is due to the fact that the C1 Zone District of the VIllage of Mamaroneck doesn’t allow a theater to be able to operate. Since the owners do not not want to vacate their current property, they have requested the VIllage of Mamaroneck to amend the zoning law to allow the theater to continue its operation in the C1 District. The Village proposed Local Law P-L-L-B-B 2016 to allow the Sandbox Theatre to remain in its current location. The new law would also have added more theaters as well as other places of public assembly and other forms of entertainment in the C1 District Zone. Unfortunately, the law did not pass, due to the Board of Trustees stating that the law was too broad. By the end of the meeting, which lasted approximately an hour, the Board agreed on a new draft of the law to only include theaters in the C1 District. The law cannot be voted on until a new public hearing on February 14th. The drug epidemic in Mamaroneck will be up for discussion on January 31st at 7:00 p.m., on a special one hour live call-in episode of The Mayor’s Report. The Executive Director of Drug Crisis in our Backyard, Susan Salomone and Village of Mamaroneck residents, Jim Abbate and Susan Batterton will be on hand for the discussion. Mayor Norman Rosenblum wants to encourage the community to tune in and call in with comments and questions. 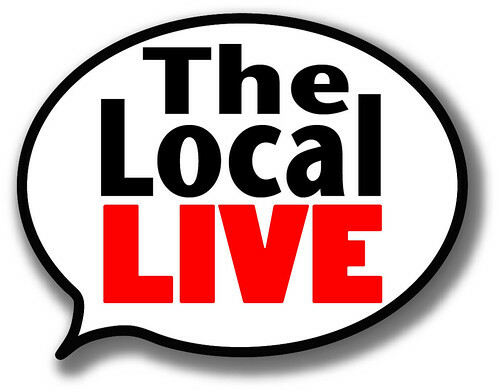 The Local Live celebrated its three year anniversary and our 151th episode at Molly Spillane’s on Friday, January 27th. The party was open to viewers, LMC volunteers and supporters. Music for the event was provided by two bands from the School of Rock in Mamaroneck. There was food, soft drinks, a cash bar, a photo booth and raffles for gift certificates to local businesses. In our Round Table discussion, Maura Carlin and Mike Witsch spoke with New York State Senator George Latimer and New York State Assemblyman Steve Otis about the election, inauguration and what is happening in both our area and in Albany. Our Pet of the Week is Doogie, a one year old Terrier mix. He weighs about thirty-eight pounds. He loves long walks and playing outside. He would do best in a home that does not have young children. For more information on Doogie and other adorable pets, go to www.ny-petrescue.org. You can also help by going to Sedona Taphouse during the month of January. One dollar from every $6 steak dinner will be donated to LMC. The Local Live has hit a milestone with this episode, our 150th. We would like to thank our crew of volunteers that help us bring community news to our viewers every Thursday. The Larchmont Playhouse is back on the market due to Bronxville resident Michael Dicosimo abandoning his plan to buy the theater. In November, he had signed a contract to purchase the theater, but legal issues and problems kept the deal from proceeding. Dicosimo said in an email, “I am no longer involved with this project.” The playhouse is listed at $1.5 million. The subject for the recent Larchmont and Mamaroneck Summit was the Local Housing Crisis for Low Income Families. The summit discussed the two different issues in Mamaroneck. The first topic for discussion was the fact that in our area, there is not enough affordable housing. The second topic was that local immigrants and undocumented people are living in disgraceful as well as overcrowded housing conditions. The panel consisted of four speakers, Anna Danoy, the Director of Community Services of the Town of Mamaroneck; Theresa Tilson, the Community Service Coordinator of the Washingtownville Housing Alliance; Jirandy Martinez and Janet Rolon from the Community Resource Center. The CRC provided stories from frantic clients who called attention to the accountability of landlords as well as the rights of tenants. Green Light New York, Driving Together is a statewide initiative that allows undocumented immigrants to apply for driver’s licenses in the state. Ossining, Port Chester and the Village of Mamaroneck are the only Westchester counties to have signed resolutions in support of the campaign. Earlier this week, the Community Resource Center held a forum that educated local residents about the program. Approximately seventy people attended the forum, which was held in the basement of the center. Deputy Executive Director of the CRC, Janet Rolon stated the more signatures were needed on the petition and that they are getting ready to march in Albany in support of the program. If you want to help, you can request the petition at the CRC’s offices which are located at 134 Center Avenue in Mamaroneck. This Saturday, a women’s march is being held in Washington, D.C. Women from all over the country, including many from our area will be attending. Hundreds of thousands of women signed up via Facebook to march through the nation’s capital to let the new administration know that the rights of women deserve to be equal. The grassroots effort began following the presidential election. A sold-out bus will leave from the Larchmont train station to take residents to Washington early Saturday morning. If you’re participating, The Local Live would love to hear your stories and videos on our show. Become a citizen journalist and send us an email at thelocallive@lmctv.org. The bridge on Hillside Avenue is finally getting replaced. This week, the Village and Town of Mamaroneck as well as the Town of Rye received a $2.8 million grant from the State Department of Transportation. The three municipalities collectively operate the bridge that crosses over the Mamaroneck River. The grant is part of Governor’s Andrew Cuomo’s Bridge New York initiative, which provides $200 million to repair bridges all over the state. Town of Mamaroneck Supervisor, Nancy Seligson told the Lo-Hud, “this is a great example of the three communities coming together and sharing services to fix a crucial municipal resource”. The bridge, which was built in 1937, has been depreciating and is in desperate need of repair and or replacement. At this time, no official start date has been scheduled. Vincent, the K-9 has been busy since becoming the newest member of the Village of Mamaroneck Police Department. He and his partner and handler, Officer Osvaldo Ramos, have been training to find hidden drugs around the training room of the police department as part of a drug detection exercise. In our Round Table discussion, Maura Carlin spoke with County Legislator, Catherine Parker and Town of Mamaroneck resident, Mark Lane about gun control, gun stores as well as gun laws in the county and our community. In our Play of the Week, the Mamaroneck Boys Varsity Basketball played Rye High School in the championship of the Tiger Tournament for the second straight year. Both games went into double-overtime. The Rye Garnets won the game but the Tigers did win their next game by beating Gorton High School 66-44. In other Mamaroneck Tigers sports news, longtime Mamaroneck Ice Hockey and Baseball coach, Mike Chiapparelli earned his 1000th career win in the Tigers’ 2-1 victory over Webster Schroeder last week. Lo-hud.com has stated that Chiapparelli appears to be the only coach in Section One with only two sports as haad coach to reach that milestone. His record stands with 551 baseball wins and 450 hockey wins. Coach Chiapparelli has also won three baseball state titles and one hockey state title. Our Pet of the Week is Clooney, an adorable Lab-Boxer mix. He is sweet and friendly and he loves to play. He is about a year old and weighs about 48 pounds. For more information on how to adopt him or to see other adorable pets, go to www.ny-petrescue.org. If you like our show and want to help to keep us on the air, please go to our website, www.lmctv.org and click on the DONATE button. We appreciate any donation. This month, Sedona Taphouse is helping LMCTV by donating the sales of their steak dinners. Normally the steaks sell for $17 but with this promotion, you can get a steak dinner for only $6. For each dinner sold, Sedona will donate $1 to LMCTV. The Community Resource Center and the Larchmont and Mamaroneck immigrant community celebrated a victory on January 9th when the Village of Mamaroneck said “yes” to “Green Light New York: Driving Together” The campaign supports equal access to New York State driver’s licenses, regardless of one’s immigration status. The resolution to support Green Light was passed unanimously. The Village of Mamaroneck joins Ossining and Port Chester as the only three municipalities in Westchester to support the initiative. The Green Light: New York coalition movement is just beginning. Janet Rolon, the Community Resource Center Deputy Executive Director told The Local Live that “this is not over”. The Community Resource Center is encouraging Larchmont and Mamaroneck residents to participate in a community forum called Join Green Light: New York. It will be held on Tuesday, January 17th from 6:00 to 7:00 p.m. at 134 Center Avenue in Mamaroneck. There will be a public hearing in the Town of Mamaroneck on January 18th that will discuss a proposed local law that would outlaw firearms on town-owned or town-leased property. It would not apply to police or peace officers. The Town has already drafted a version of the legislation that is listed on www.town-of-mamaroneck.org. The movie, “La La Land” made history at the Golden Globe Awards that were held on January 8th by receiving seven awards, including Best Musical or Comedy Motion Picture. Fred Berger, one of the producers of the movie is a 1999 Mamaroneck High School graduate (and a former student of Local Live host, Mike Witsch). He accepted the award on behalf of the whole team behind the film which has been critically acclaimed since its release. Berger joins a long list of distinguished MHD alums in the film industry including Matt and Kevin Dillon, Dan Futterman, David O. Russell, Bennett Miller and Michael O’Keefe. And speaking of movies, another Mamaroneck High School graduate, Ben Zuckert, will be showing his film, “Larchmont” at the Emelin Theatre on January 19th at 7:30 p.m. The film was written, produced and directed by Zuckert while fellow alum William Seife shot and edited the film. It’s a comedic and insightful coming-of-age story for all families, and features many familiar locations and businesses. The Local Live spoke with Zuckert who said, “I hope film fans of the community can make it out to the Emelin for possibly the last local screening of my movie, ‘Larchmont’, Come by at 7 for free beverages provided by Half Time of Mamaroneck and Wine Gems of Bronxville. I hope you enjoy how the town looks on the big screen”. Tickets are $10 and can be purchased in advance at www.LMCEE.org. The movie will be available on Vimeo if you are unable to attend the screening. In our Round Table discussion, Mike Witsch spoke with Elizabeth Saenger, Larchmont Mamaroneck Human Rights Committee Member, Jirandy Martinez, Larchmont Mamaroneck Human Rights Committee, Ned Benton, John Jay College of Criminal Justice Professor and Public Management Department Chair, and Amy Guenzi, Mamaroneck-Larchmont Student Aid Fund President about the upcoming Martin Luther King, Jr. Day’s activities and the impact that King made in our community and the country. Our Pet of the Week is Harper, an adorable Husky mix who’s very sweet and friendly. He is about a year and weighs about thirty pounds. He has basic manners training. It is recommended by Pet Rescue that he is adopted by a family that has children over eight years old. For more information on Harper and to browse other pets, go to www.ny-petrescue.org. The New York Statewide campaign, Green Light New York supports equal access to driver’s licenses for undocumented immigrants in the state. At present, New York prevents thousands of immigrants from receiving driver’s licenses due to the status of their immigration. As of yet, there are twelve states in the country already provide access to licenses for all residents regardless of their immigration status. The Community Resource Center gave a presentation to the Village of Mamaroneck Board of Trustees that asked for a resolution in support of the campaign. Mamaroneck would be following the lead of the Villages of Ossining and Port Chester who recently expressed their collective support. After the presentation, Mayor Norman Rosenblum said they will add the proposal to the work session on January 3rd, and there will be a public hearing on January 9th. The vote will take place after the public hearing. There is good news for the Larchmont Playhouse. The Playhouse which closed in September 2016, may be opening again soon. Bronxville resident, Michael DiCosimo has signed a contract to buy and upgrade the theater, thanks to donations from the community. Plans to renovate would include new sound and projection systems, new seats, an updated lobby and a potential wine bar. While the contract negotiations are still pending, all parties involved are “cautiously optimistic” that movies will play in the theater once again. A tow truck driver was killed in a hit-and-run in Harrison just days before the new year. Thirty-two-year-old Salvatore Brescia of Yonkers was hooking up a disabled car to his truck on Interstate 95 when he was hit by a passing car. He was taken to Greenwich Hospital where he was later declared dead. Brescia’s family told sources that he had just purchased a house with his fiancée and the couple was to be married in July of this year. The suspect remains on the run. New York State Crime Stoppers is offering a reward of up to $2500 for any information that leads to an arrest. This past Tuesday, hundreds of tow truck drivers, some from as far away as Pennsylvania gathered at Harbor Island to pay tribute to Brescia. Looking for a place to go for dinner this month? Every Monday through the end of January, you can get a great meal that helps to benefit our television station, LMCTV. Sedona Taphouse on Boston Post Road in Mamaroneck will sell their Black Angus flat iron steak for only $6. One dollar from the sale of each steak will benefit LMCTV For more information and to make reservations, visit sedona-taphouse.com. In our Round Table discussion, Maura Carlin and Mike Witsch spoke with Sibylla Chipaziwa, Mamaroneck Review Assistant Editor, Jon Craig, Mamaroneck Daily Voice Assistant Managing Editor and Gabriel Rom, The Journal News Reporter, about their top stories in 2016 and what they think will be the top stories of 2017. In our LMC Varsity Sports segment, Steve Anastas spoke with Mamaroneck High School Basketball Coach, Tyrone Carter, Jr. about this season’s successful team. In The Spotlight, Mike Witsch spoke with Elizabeth Saenger of the Mamaroneck Human Rights Committee about their upcoming event on January 8th that will honor local students as well as Martin Luther King, Jr.
Our Pet of the Week is Praline, a sweet dog who loves to play and go on walks with all other dogs. She is shy around humans. The person who is willing to adopt her must have multiple dogs, a fenced-in yard that is at least six feet, no small children and is willing to work slowly with her. For more information on how to adopt Praline or to browse other adorable pets, go to http://www.ny-petrescue.org. 2016 is coming to an end, and The Local Live would like to celebrate the work of our volunteer producers and students. This year we aired almost 150 shows and in this episode we are showcasing the highlights of 2016. Our first highlight is the 69th annual Mamaroneck Fireman’s Day Parade in which their service to our community was celebrated. Local Live reporter James Levinson spoke with Village of Mamaroneck Mayor Norman Rosenblum, and parade participants, some who came from as far away as Texas. Hand and Stone Massage and Facial Spa opened on Mamaroneck Avenue, which was a first for our community. Local Live Co-Producer, Cat Galeano went to the spa to learn more about their and even enjoyed her own pampering session. The Village of Larchmont turned 125 and celebrated its Quasquicentennial. Local Live anchor, Alexandra Garcia covered the street and arts fair as well as the grand reopening of the Larchmont Public Library. Frankie and Fanucci’s, an Italian restaurant on the avenue, introduced a Pour Your Own Tap Room, making it one of the only places in the tri-state area that lets you be the bartender. A taste of Argentina landed in Larchmont at family-owned restaurant Estancia Buenos Aires. Oscar-winning director as well as local resident, Ang Lee was interviewed in a special event sponsored by the Larchmont-Mamaroneck Center for Continuing Education. The event took place at the Mamaroneck High School Auditorium. Mamaroneck Youth Liaison Officer, Keith Yizar shared his memories of Muhammed Ali, who passed away this year, when the boxer who was known as “The Greatest” came to visit Mamaroneck High School. Sedona Taphouse opened on East Boston Post Road. With fifty rotating taps to 250 bottles, there is a brew for everyone to enjoy. The food is also good. 1818 Fine Hair Salon also opened on the avenue. The services include the typical haircuts and shaves as well other services to make a man feel pampered. 2016 was an Olympic year, so Local Live Co-Producer, Cat Galeano spoke with John Collins, the head coach of Badger Swim Club about the numerous US Olympic swimmers that got their start in the Larchmont swim club. Polpettina, a restaurant known for its savory meatballs, opened on Larchmont Avenue. With the year coming to an end, The Local Live would like to thank our interns and we hope to inspire and encourage our youth to join our group of producers. If you like our show and to help keep us on the air, please check our website, www.lmctv.org and click on the DONATE button. We appreciate any donation.